How to clean wool carpet, especially from dog or cat urine odor. Since 1991 PetPeePee company provides essential service to a pet owner, urine odor removal permanently and organically. I decide to post this article after I stumble on a YouTube video with the name” green dry cleaner process” (dry-cleaning chemicals are the most toxic chemicals it’s a fact). Many products in the market carried the label organic, green, environmentally safe, natural: we at PetPeePee using organic cleaning product that it is: odor free, soap free, enzyme free, and it is edible! And this is the benefit of using the Dead Sea minerals. 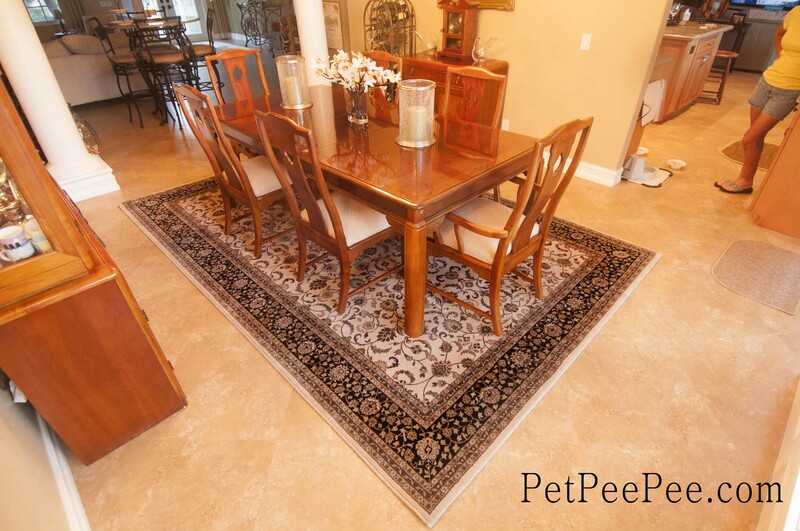 So how PetPeePee removes the urine odor from wool carpet (Oriental rug, area rug, and silk carpet)? The XpetPee machine that’s build to clean the wool carpet through, it’s mean all the cleaner (the Dead Sea minerals) will go through the wool fiber, wash the carpet thoroughly. The process of cleaning the wool carpet done without touching the rug/carpet, this will protect the wool texture and color run. Today the 21st century every one of us is looking for organic and healthy lifestyle. The benefit of cleaning your wool carpet organically is less chemical on your dog/cat skin, that’s eventually will shift to your hand, by petting your pet. The benefit of the Dead Sea cleaner. These mysterious blended minerals from the Dead Sea, hold the key element to kill bacteria naturally, the solitary place on earth that’s bacteria cannot survive in nature is the Dead Sea that’s located near Jerusalem, the lowest point on earth, 1200 feet below the sea level. PetPeePee company finds the direction how to blend these minerals to make them powerful enough to clean and get rid of the urine crystallize from fibers. This is the time to search for an organic cleaning service that it is: odor free, enzyme free and deodorizer free. Has your cleaning product been odor free? Is your cleaning product free from enzyme (enzyme contains unpleasant smell of chemicals)? Has your cleaning product been organic? Remember where your pet’s laid, his skin will absorb the chemicals that it’s in the carpet. See PetPeePee.com/blog and learn more about our organic cleaning process.